Creator of Beyond: Two Souls David Cage took the time at Gamescom 2013 today to give a presentation that showcased a new mode for the game called “Dual Mode” – a mode that will allow players to play the game via their iOS or Android smarthphone/tablet. 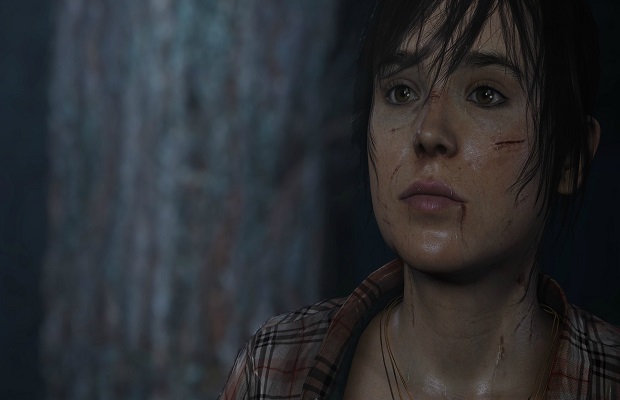 As has been known about the core of Beyond: Two Souls’ gameplay, players will be switching between controlling the game’s protagonist Jodie and the ghost-like character of Aiden. However, in Dual Mode control of Aiden can be passed off to a partner by pressing the triangle button on the PS3 controller. This is not to be confused with simultaneous co-op play as this will only allow two players to alternate control of Jodie and Aiden. Cage said that Dual Mode was inspired by people’s stories of playing Heavy Rain, the developer Quantic Dream’s previous PS3-exclusive title, and how they would usually play the game with someone else in the room that would actively suggest to the player which path or action to take. Dual Mode allows that backseat driver, or “puppet master,” as Cage called it, more control over the game. Another surprising announcement to come from this presentation was the news that all of Beyond: Two Souls will be playable via a smartphone or tablet (running iOS or Android). This is called “Beyond Touch” and allows those equipped with a touch-screen device to control movement and various actions of the game’s characters. It is possible to use any combination of DualShock 3s and touch-screen devices during Dual Mode. Beyond: Two Souls will be available on Oct. 8 on the PlayStation 3. What do you think about Dual Mode and Beyond Touch? Let us know in the comments below or follow us on Twitter and like us on Facebook.